If you suffer from dark circles, you know the struggle of makeup. While you can treat them with different medications or home recipes according to the issue, on special occasions you can hide them with makeup. Hiding dark circles properly, needs little tricks and practice but you can master this art easily. After few attempts you can know how and what works best for you, making it quick to hide them easily after that. As i have dark circles and have been using different products for some time, now i have come to know some easy steps which works best for me. Let me tell you these steps and how they are done. First of all hydrate your skin with good moisturizer. The dry skin is main reason which can cause eye bags and crow feet. It is better to go for good eye cream or eye serum then your regular moisturizer as they are specially produced for the delicate area of eyes. I love using Etude House Pink Vital Water eye serum as it is quite moisturizing, refreshing and instantly soothe tired eyes. After applying serum tap the moisturizer to sock in properly. To correct the color under your eyes which can be purple or blue depending on the severeness of your dark circles. For dark purple or blue color the best corrector is orange corrector and i use NYX full coverage concealer jar in Orange. If you have light circles you can choose salmon or peach shade to correct the under eye color. Use any small flat brush to apply color corrector on the area which is darkened and need correcting. You can also use small beauty blender to apply the product but for this step i prefer using brush as we will not be blending it too much. On top of color corrector layer the concealer similar to your foundation color. This will neutralize the corrector color and you will notice the dark circles are almost hidden. The good option of concealer to top the color corrector are liquid concealers. Cream concealers can be little difficult to blend on top of already cream product and you might find it tricky. However the liquid concealers are easy to apply and blend. I currently love using Wet n wild photo focus concealer. 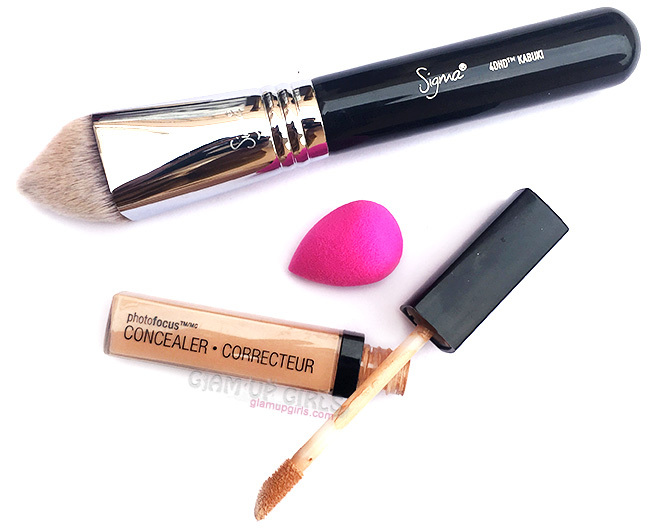 After layering the concealer on top of corrector, blend it with brush or small beauty blender. The best option is Sigma 4DHD kabuki and i cannot tell you enough, how much i love it to blend my concealer. It simply is amazing and the most favorite brush in my whole collection. 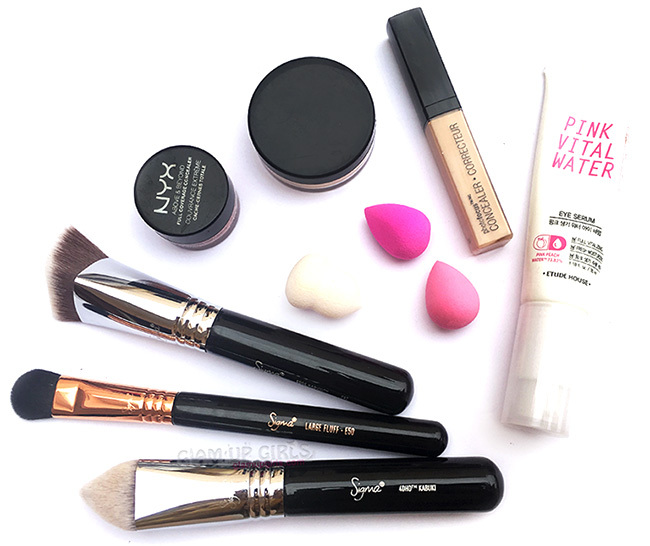 Now to make your effort last and creaseless use powder to set these products. You can choose translucent powder in white or yellow color. I prefer yellow color powder which is known as banana powder. This shade will further correct any discoloration left by concealer or corrector and give a more natural look. My all time favorite one is Kryolan translucent powder in TL4 which i have depotted in small jars. 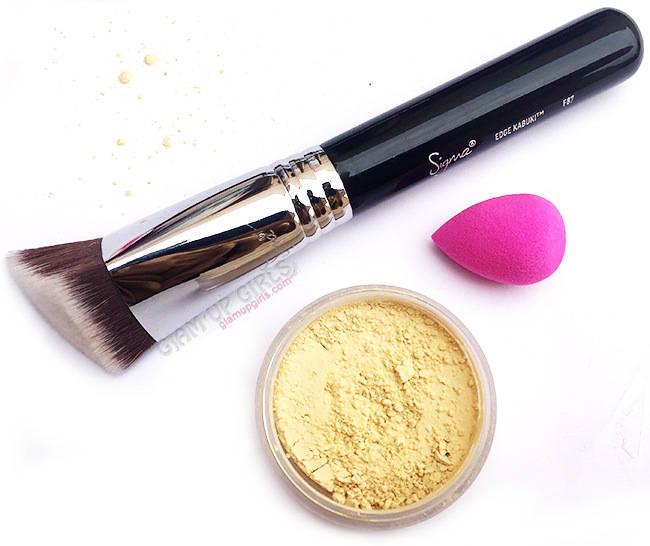 To apply this powder, you can use either small beauty blender or fluffy brush. I extremely love using my Sigma F83 Edge kabuki brush which is simply amazing and perfect to use any setting powder which makes it my equally favorite with 4DHD brush and rest of all comes at second. Now coming towards sand bagging, if you haven't hared about it before, it is baking technique used only for under eyes. This will highlight the under eye area and make the product last for longer. 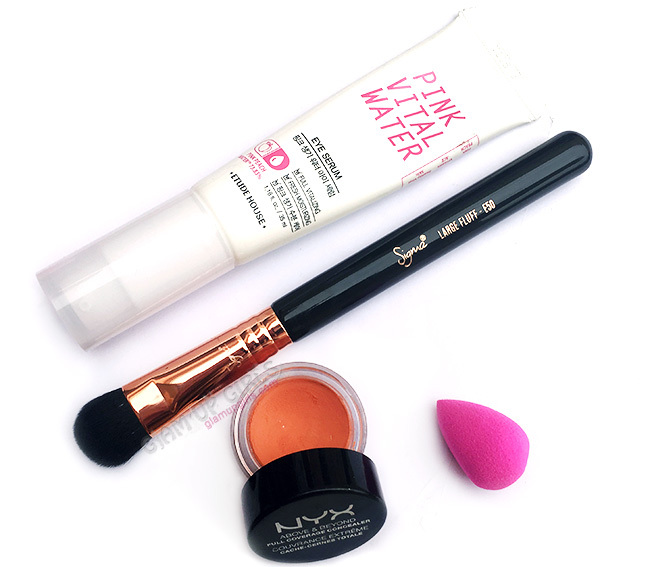 For sand bagging use damp sponge or beauty blender and apply thick coat of translucent powder under eyes. Now while this powder is setting keep your face still to avoid any creasing. Finally dust away the powder with large fluffy brush. Let me know how do you hide dark circles and which products are your favorite?